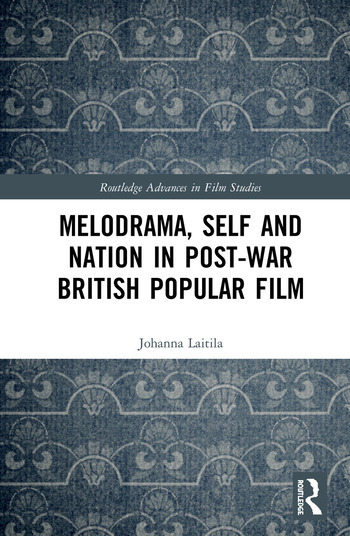 This book investigates the portrayal of nationalities and sexualities in British post-Second World War crime film and melodrama. By focussing on these genres, and looking at the concept of melodrama as an analytical tool apt for the analysis of both sexuality and nation, the book offers insight into the desires, fears, and anxieties of post-war culture. The problem of returning to ‘normalcy’ after the war is one of the recurring themes discussed; alienation from society, family, and the self were central issues for both women and men in the post-war years, and the book examines the anxieties surrounding these social changes in the films of the period. In particular, it explores heterosexuality and nationality as some of the most prominent frameworks for the construction of identities in our time, structures that, for all their centrality, are made invisible in our culture. Johanna Laitila received her PhD at the University of St Andrews School of English, and she has taught Film, Media, and Popular Culture at the University of Dundee.